Disclaimer: I received free tickets in exchange for an honest review. All opinions are my own. Walking With Dinosaurs is a great show! 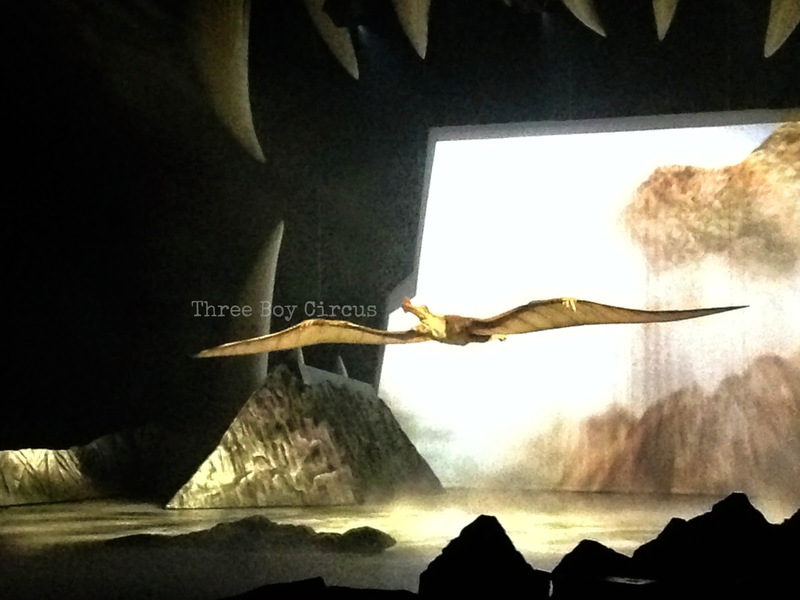 My boys (ages 7 and 9) really enjoyed seeing it and learning a little about the dinosaurs. While it is a fun time for older kids I do not recommend taking a toddler. My youngest (almost 17 months old) was scared a majority of the time. Keep in mind: the music is quite loud and the lights were dramatic. The music was really great and dramatic. They also had inflatable grass and flowers around the stage which surprised us. I think my boys loved when they had two torosauruses fighting. Me? I was sitting there watching the dinosaurs and feeling bad because there would be a hurt loser when it was all done. As much as Tyrannosaurus rex scared us, it was nice to see a gentler side with her little baby. It also provided some laughs from the audience because the little one would try to imitate his mom's ferocious roars. 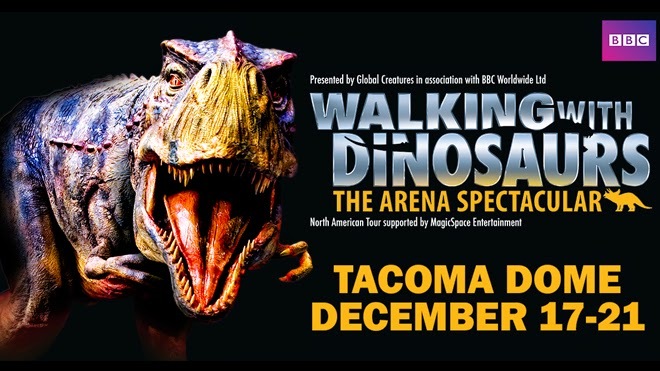 One can expect to see 10 different species of dinosaurs, numerous posturing/fight scenes, dramatic music and lights, great narration, and a ton of learning! Ticket prices range from about $25 to around $100 (note that children under 2 do not need a ticket but again, I don't recommend it) and it's only in town for a few days so don't hesitate! If you missed my last post with discount codes, see it here. I must add that it was neat watching the show after finding out it had originally started its run here in Tacoma 7 years ago! My family loved the entertainment and highly recommend it to others.